Calling all basketball fans! If you can’t bear waiting until March for the madness, bring the family to Myrtle Beach this November and participate in the inaugural 2018 ESPN Events Myrtle Beach Invitational Basketball Tournament! The tournament will be hosted at the HTC Center at Coastal Carolina University’s campus from November 15 – 18! Cheer on top-rated college teams such as Cal State Fullerton, Monmouth, Saint Joseph’s, UCF, Valparaiso, Wake Forest, West Virginia, and Western Kentucky as they battle for the championship title! Autumn is the ideal time to visit the Grand Strand area, with fewer crowds and mild weather take the opportunity to ditch the cold and spend a weekend at the beach! When wondering where to stay in Myrtle Beach for the tournament, look no further than Marina Inn at Grande Dunes! 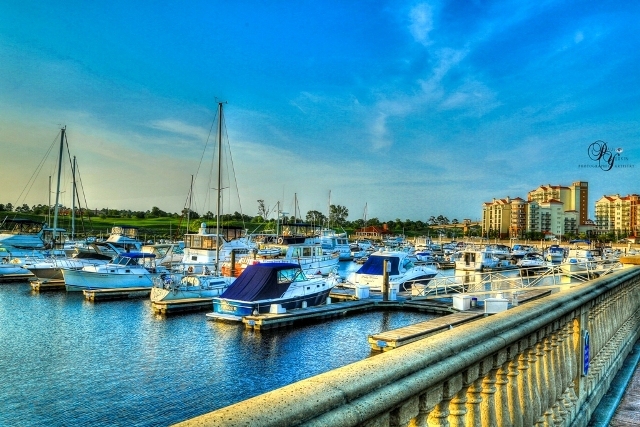 The Marina Inn at Grande Dunes is the perfect location for accommodations for a couple or the whole family! We are offering a special rate of $125.00 per night for the luxurious grande guest room. The grande guest room features a choice of one king or two queen beds, large bathroom, private balcony with views and more! 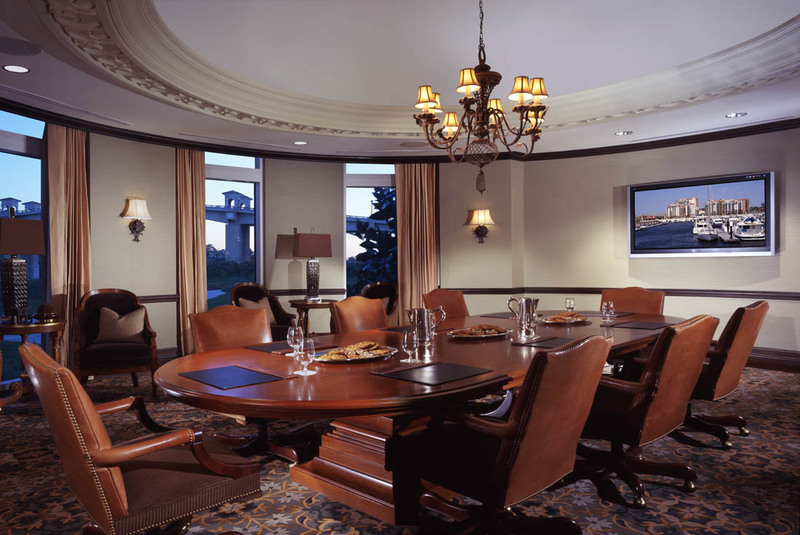 Larger suites may be available at an additional rate. Get ready to ball at the beach this month at the Myrtle Beach Invitational Basketball Tournament with Marina Inn at Grande Dunes! Summer is coming to an end but there is still so much to look forward to when you choose to stay with Marina Inn at Grande Dunes! This fall, Marina Inn at Grande Dunes is part of the ‘60 More Days of Summer’ promotion, that runs throughout September and October. This promotion is aimed at showcasing all the things to do while the crowds fade away but while the weather is still warm. Click here to find out more details about this special promotion. During this time, take advantage of our Fall Family Takeover Package. You don’t want to miss out on up to 30% off the best rates on luxurious waterfront accommodations! Enjoy dinner and a show at Pirates Voyage where the thrill of the acrobats flying through the air and the yummy meal will have you cheering for more! Fill up on a Low Country Omelet, Bananas Foster French Toast, Belgian Waffle and so much more! Kid’s Party Bucket for each child on arrival! Located along the Intracoastal Waterway, Marina Inn at Grande Dunes is a luxurious 4 diamond resort that’s close to all of Myrtle Beach’s best family attractions. While at the resort, enjoy splashing around with the kids in the zero entry pool. You can also take advantage of our complimentary shuttle rides to our private beach to experience the lovely fall weather in the south! 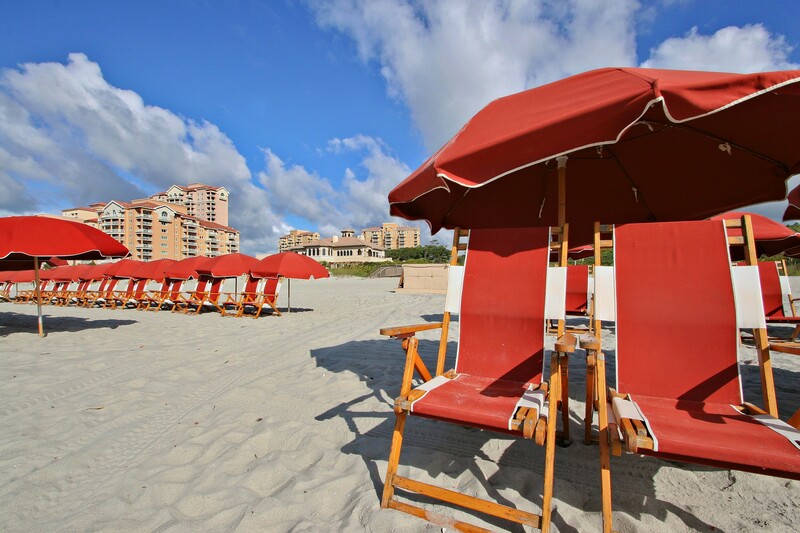 Our full-service beach amenities are available every Friday, Saturday, and Sunday through the end of September. 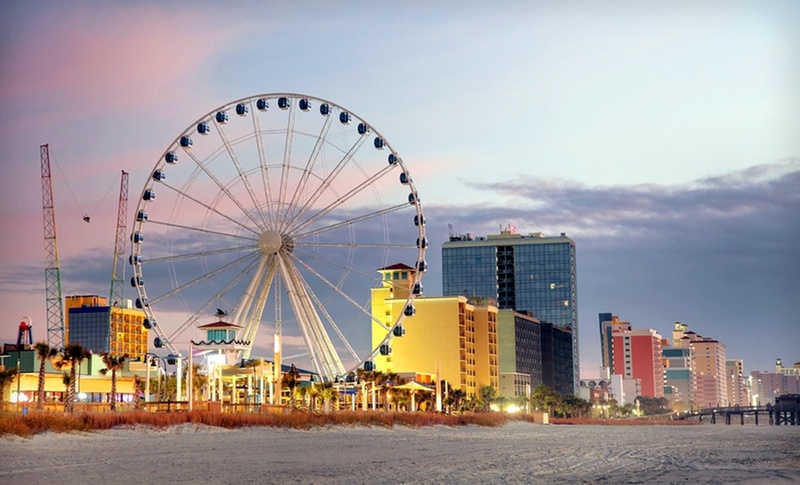 When you visit Myrtle Beach in the fall, you’ll enjoy less traffic on the roads and more chances for fun at the most incredible attractions along the Grand Strand! Rockin’ Jump is a giant trampoline park and perfect for those cooler days the whole family can enjoy together! Avoid the lines of summertime and visit the local Children’s Museum and discover all the wildlife under the sea Ripley’s Aquarium. 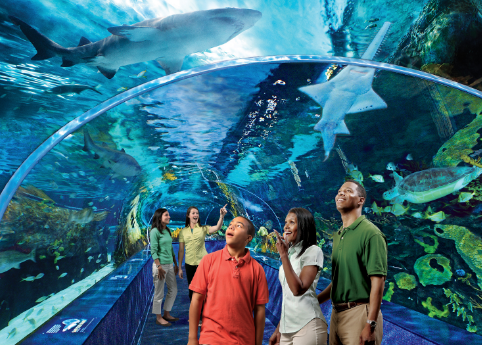 With less of the summer crowds; your family can experience more fun during your Myrtle Beach fall getaway. Dare to try new restaurants, activities, and visit local fall festivals in the Grand Strand area! When it comes to kid-friendly restaurants that serve up the yummiest dishes, we love WaterScapes, our on-site restaurant! 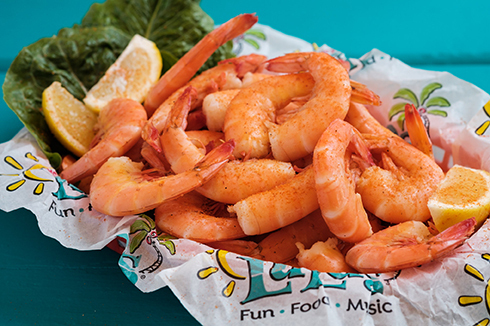 Check out LuLu’s at Barefoot Landing, a colorful new spot where kids can play beach volleyball in the sand and build castles while waiting for the food to arrive. Ultimate California Pizza Game Zone has the ‘Best of the Beach’ pizza and an arcade inside full of interactive games so the kids can earn enough tickets to take home a prize! 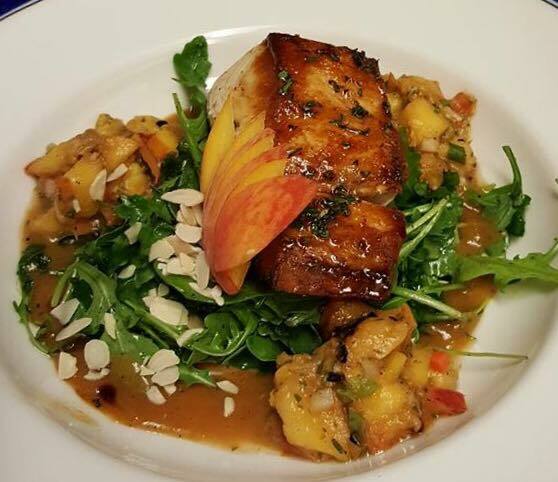 Each restaurant is only minutes away when you stay with Marina Inn. Take advantage of all the fun activities the summer has to offer without all the crowds and reserve your room with Marina Inn at Grande Dunes for your family’s fall getaway! Book your Fall Family Takeover Package today! Myrtle Beach, South Carolina has long been known as the golf capital of the world; which isn’t surprising with our proximity to the ocean and beautiful weather year round! 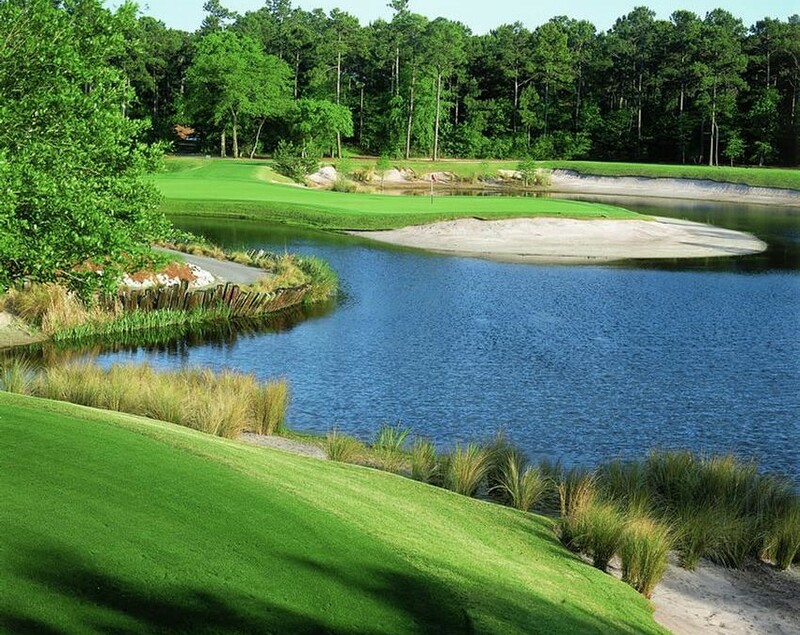 When you choose to stay with Marina Inn at Grande Dunes, a luxury 4 diamond resort in Myrtle Beach, you’re just a short drive away from some of the best courses along the Grand Strand! 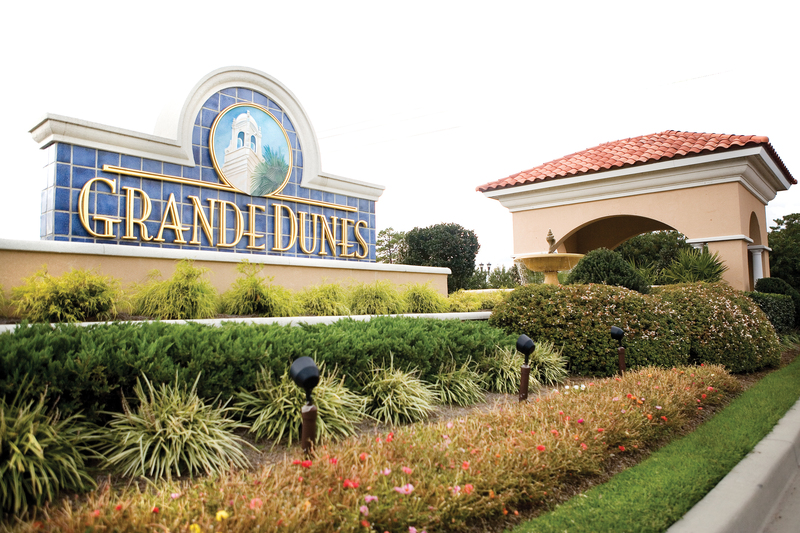 With 7 out of the stylish 18 holes that play along the Intracoastal Waterway, the Grande Dunes Resort Course is quite unique to the Grand Strand! No wonder PGA Magazine said it is “one of the great golf clubs in the world”. This is our on-site course so by staying with Marina Inn at Grande Dunes you won’t have to travel far to play a luxurious round of golf! 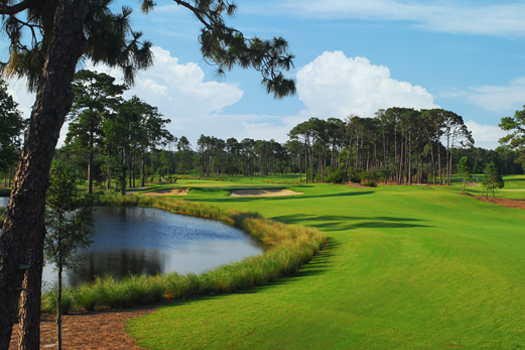 The 4 courses at Barefoot Golf Resort are named after 4 hall of fame players. Norman, Love, Fazio, and Dye. Each course with its own quirks and characteristics; just like the players! This resort was named as the 2017 North America Golf Resort of the Year and it doesn’t take an expert to see why. 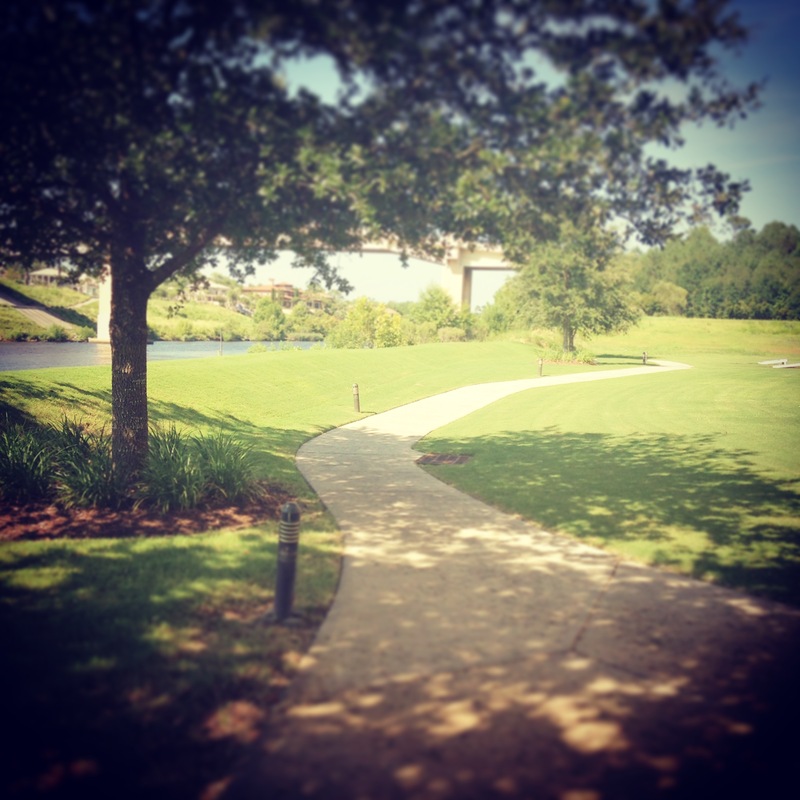 The relaxation you’ll feel while playing the course is what will keep you coming back time and time again! Located right next to the ocean, (literally in the dunes! 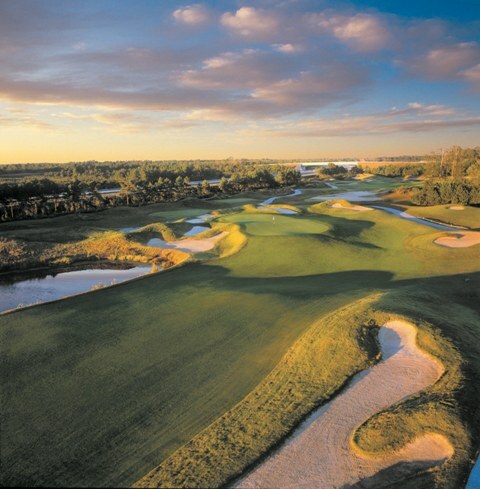 ), the Dunes Club courses are sure to satisfy any golf lover’s dreams. While playing the course you’ll come up on hole 13, dubbed ‘Waterloo’ and well-known around the world for being the signature hole of the course! 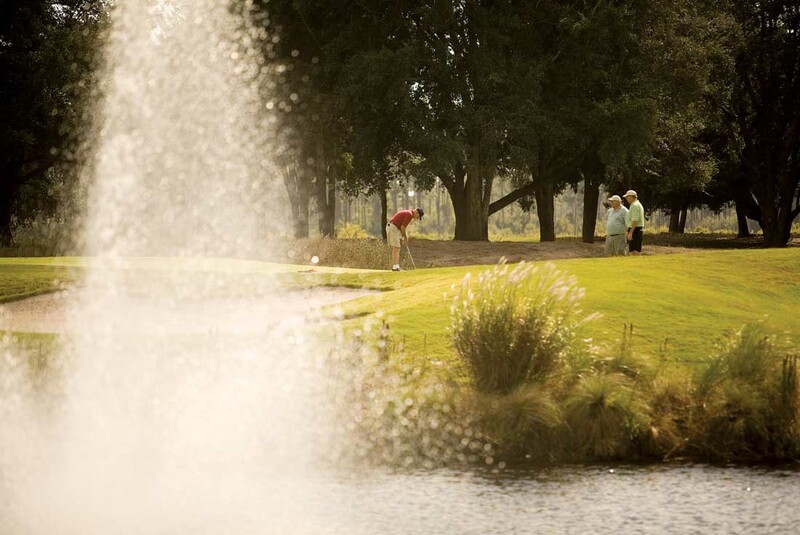 Experience a match with the sunshine on your face and the warm breeze blowing through as you play for a true Myrtle Beach golf game. 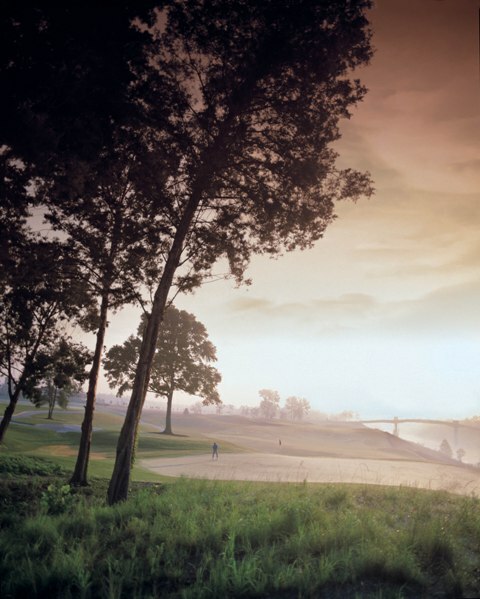 A local’s favorite, Pine Lakes course keeps a loyal following coming back year round! Known as the first golf course of Myrtle Beach, the Grandaddy course has been restored to and makes all the other courses green with envy. It’s no surprise this country club’s classic features and rich history keeps seasoned golfers coming back every year! 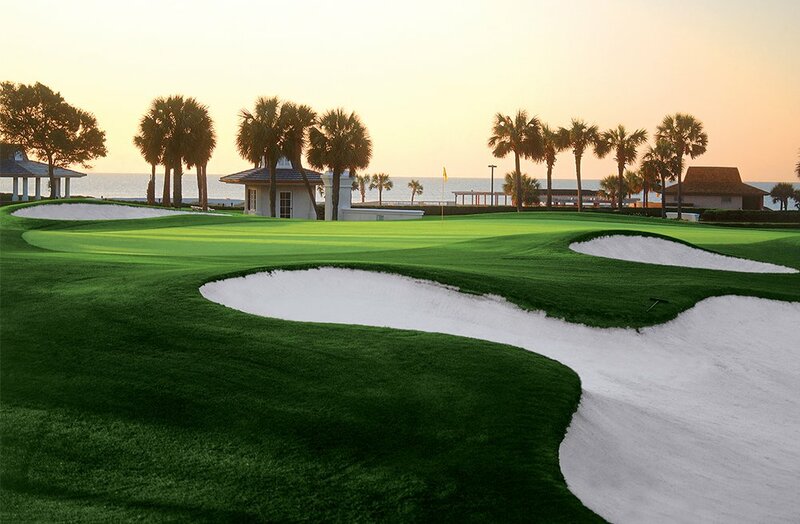 Once the cool breeze begins to blow through, pack your clubs and plan your visit to Myrtle Beach for the perfect time of year to play a round at each course! It’s not too late to book with our Ultimate Summer Sale offered now through August 31! 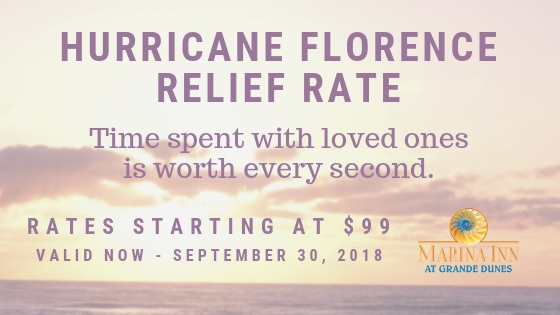 Book today to get the best deals and begin making memories with your family in Myrtle Beach! Summer isn’t over in Myrtle Beach just quite yet! There’s still plenty of time to enjoy the great outdoors at one of our South Carolina State Parks. When you stay with Marina Inn at Grande Dunes, a luxury 4 diamond resort in Myrtle Beach, not only is the view of the Intracoastal Waterway breathtaking, but you’re just a short drive from the parks and their natural beauty! 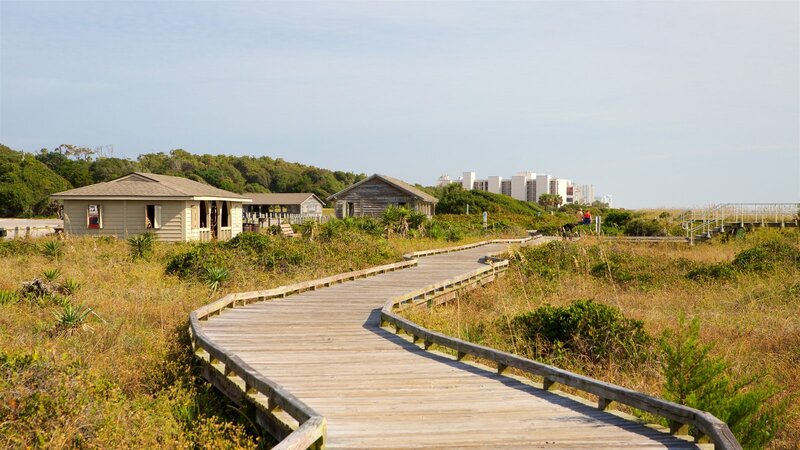 There’s always something going on at Myrtle Beach State Park! Choose between exploring the nature trails or learning about the local flora and fauna in the Lowcountry. Every Wednesday in September you can learn about the plants that grow in the park, for ages 10 and up! September 6th – 27th: What Wildlife Will A-Pier? Every Thursday in September, kids 5 and up can observe wildlife from the pier while learning unique facts and history on the local animals! 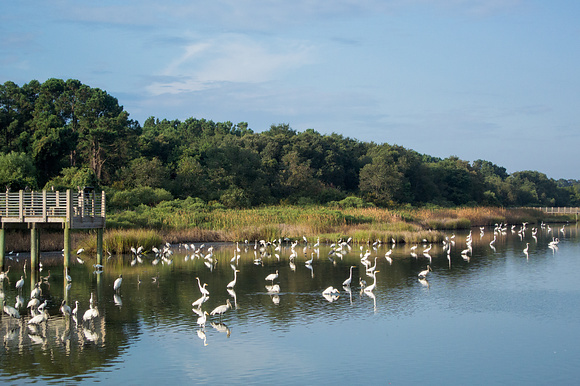 Every Thursday in September, kids 8 and up can spend time feeding some of the common birds along the Grand Strand! Every Friday in September, kids ages 5 and up can learn more about reptiles and their importance to our local ecosystem! Help keep our beaches beautiful by participating in the beach sweep! Appropriate for all ages. Sign up for the experience of a lifetime while learning how to fish! A variety of awards will be given out to participants and fishing gear will be provided to those who need them. November 17th: Live Birds of Prey in Flight! Learn more about how these birds hunt their prey and fly above the trees at this live demonstration! Just a short drive south of downtown Myrtle Beach, Huntington Beach State Park is known for the historic Atalaya Castle; which is often a venue for weddings and other special occasions. Featuring more than 100 of the finest local artisans, the Atalaya Arts and Crafts Festival provides aesthetic beauty against a backdrop of natural beauty. Enjoy fine art, quality crafts, and food, along with live music performances from local musicians! Never been tent camping? Learn how with a park ranger! Campers will be provided with a list of food items to bring and only a limited number of tents are available to borrow. Experience an evening of frightfully fun family entertainment! At the Atalaya Fall Festival & Haunted Castle, you and your family can enjoy two haunted houses, carnival games, spooky movies, a bonfire and more! Spend the night at Atalaya, and enjoy everything from spooky ghost stories to stunning nature hikes! Dinner and breakfast will be included and only a limited number of tents are available to borrow. And it’s not too late to take advantage of the Ultimate Summer Experience Sale happening now through August 31st. You can save up to 35% off your final summer getaway. We hope to see you soon!